Hey! 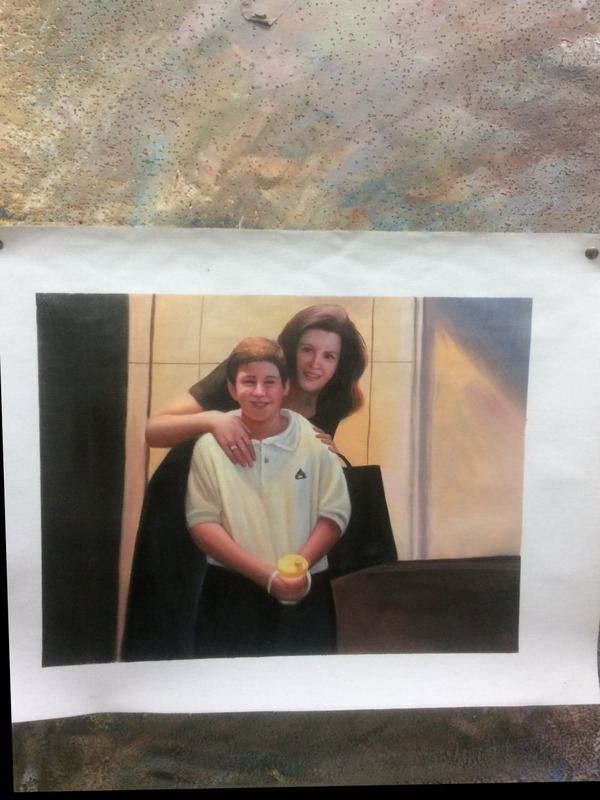 I'm wondering if you can paint the boy on the right (yellow shirt) in place of the boy on the left (white shirt), as if the woman were holding the boy in yellow shirt, not the white. And make it so it is a painting of two people, not three. Thanks!